Fondazione Giorgio Cini in collaboration with the Centre d’Études Turques, Ottomanes, Balkaniques et Centrasiatiques (CETOBaC - EHESS) will host the inaugural conference of the European Network for the Study of Islam and Esotericism (ENSIE) to be held on San Giorgio Island, Venice, on 12-14 June 2018. For further information, please visit: http://ensie.site/conferences.html? On the 6-7 June 2018 the Faculty of Arts, Religious Studies Masaryk University Brno, Czech Republic will organize a conference on the topic of Western Esotericism. The title is “Consciously Illicit: Transgression in Western Esotericism”. The themes of the conference will address the breaking of taboos and the transgression of social and religious boundaries by part of dissident groups and individuals within the field of Western Esotericism. This will include researching their practices, beliefs, traditions, self-perception and how they relate and conflict with societal and religious norms. Finally, it will also address the interpretations of taboo violation in relation to the various historical eras. The electronic voting for new ESSWE Board Members is now open. If you are a dues current member but have not received a notification to vote, please get in contact with me. Baltic Alliance for Asian studies, Latvian Society for the Study of Religion, Centre for Korean Studies of the University of Latvia announces a call for papers for the 3rd BAAS Conference / 3rd LSSR Conference. The ESSWE Sponsorship Programme for Independent Scholarly Initiatives is now taking applications for the 2018 bid. Deadline January 15, 2018. For more information, please check the Sponsorship page! 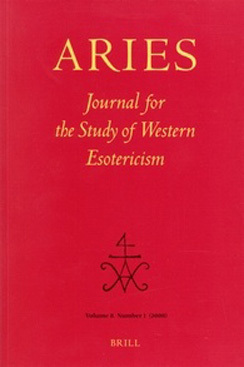 Description: Western esotericism is usually encountered in texts and images and studied in its ideational and aesthetic aspects. We know a lot about esoteric ideas, worldviews, and aesthetic conventions; but what were the people engaged in esoteric ideas doing? From magic and alchemy to mediumship and channeling, esotericism is not only theoretical but practical in nature. Accessing and analyzing esoteric practice, however, invites challenges that are rarely addressed in the field. This year’s ESSWE Thesis Workshop will focus on the methodological and theoretical challenges of studying esoteric practice. 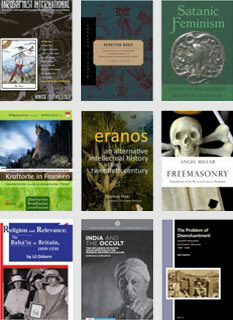 What kinds of textual and non-textual sources can we use to address practices of the past? Can we access practice through philology? How do we do responsible ethnographic work with contemporary esoteric groups? Can we connect historical methods and social science methods? What sort of theoretical frameworks might help us grasp esoteric practices, both past and present? How does one write a thesis about esoteric practices? The workshop will address these and other questions through a combination of (I) masterclasses with three specialists focusing on different historical periods, and (II) thematic discussion groups where MA and PhD students get the opportunity to talk about their own work with leading scholars in the field. The workshop also includes a career advice session led by a panel of early-career esotericism researchers. Open for: MA and PhD students [note: membership of ESSWE required]. 35 slots available. Participation is free of charge, but registration is required. First come, first served! To reserve a spot: please fill in the online registration form and await confirmation. 13.45-14.45: Group discussions in expert groups. Each student gets to present their research topic and formulate questions to the group. Experts from the ESSWE board anticipated to be present: Andreas Kilcher (ETH), Boaz Huss (Ben Gurion), Egil Asprem (Stockholm University), Henrik Bogdan (Gothenburg University), Wouter J. Hanegraaff (University of Amsterdam, Birgit Menzel (Johannes Gutenberg University, Mainz), Bernd-Christian Otto (University of Erfurt), Yuri Stoyanov (Warburg Institute), and Helmut Zander (University of Fribourg) [changes may occur!]. 14.45-15.15: Plenum Session: Each group summarizes the most important challenges and topics that surfaced during their discussions. "a free, weekly podcast series exploring cutting-edge academic research in the study of Platonism, Gnosticism, Hermeticism, the Kabbalah, alchemy, occultism, magic, and related currents of thought. ... The approach is roughly chronological, beginning with the earliest civilisations and moving forward in time until the present day, with the aim of leaving out nothing essential along the way. It will be a long and fascinating trip through the history of ideas, and one which is bound to challenge what you think you know about philosophy, science, religion, and western identities." You can access SHWEP from the website https://shwep.net/, or find it in iTunes. The MOOC (massive open online course) introduces basic concepts of Kabbalah, and discusses some of the major trends and texts of Kabbalah, from the late middle ages to our days. It is most suitable for undergraduate students, or people interested in Kabbalah, with no background in Jewish studies, who do not have the possibility of taking such a course in their universities. It is free and it takes only a few seconds to enroll.